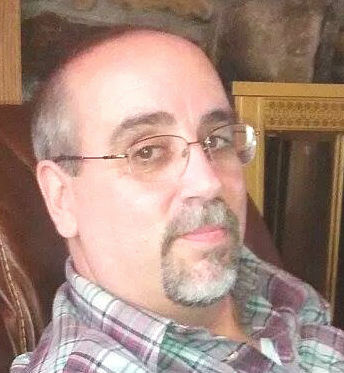 Obituary for Dale L. Spencer Sr.
Dale L. Spencer, Sr., 58, a long-time resident of Dover Plains, NY, died on Tuesday, May 8, 2018 at Putnam Hospital Center in Carmel, NY. Dale was a Marketing Operations Specialist at Reader’s Digest for 23 years and most recently was a School Bus Driver for MV Transportation in Carmel, NY. Born on February 26, 1960 in Saranac Lake, NY; he was the son of Marie (Brooks) Spencer of Dover Plains, NY and the late Loren Spencer. Dale graduated from Dover High School, class of 1978. On May 23, in Wappinger’s Falls, NY, Dale married Margaret DeSantis who survives at home. Dale was a parishioner of St. Charles Borromeo Church. Dale was an avid Mets and Jets fan and a lover of classic rock, especially Led Zeppelin and Aerosmith. In addition to his loving mother and wife, Dale is survived by two sons; Dale Spencer Jr., his wife Laura, and expected grandson Zachary, of Marlboro, MA, and Michael Spencer of Dover Plains, NY. He is also survived by two sisters, Lisa McGhee and husband William, and Lynnae Webster and husband Joshua, both of Wingdale, NY. He is also survived by six nephews and six nieces. In addition to his father, Dale was predeceased by brother, Jody Spencer. To send flowers to the family of Dale L. Spencer Sr., please visit our Heartfelt Sympathies Store.